We were mesmerized by the sheer brilliance of the great red sandstone mausoleum. The aura of the sunset was amazing. 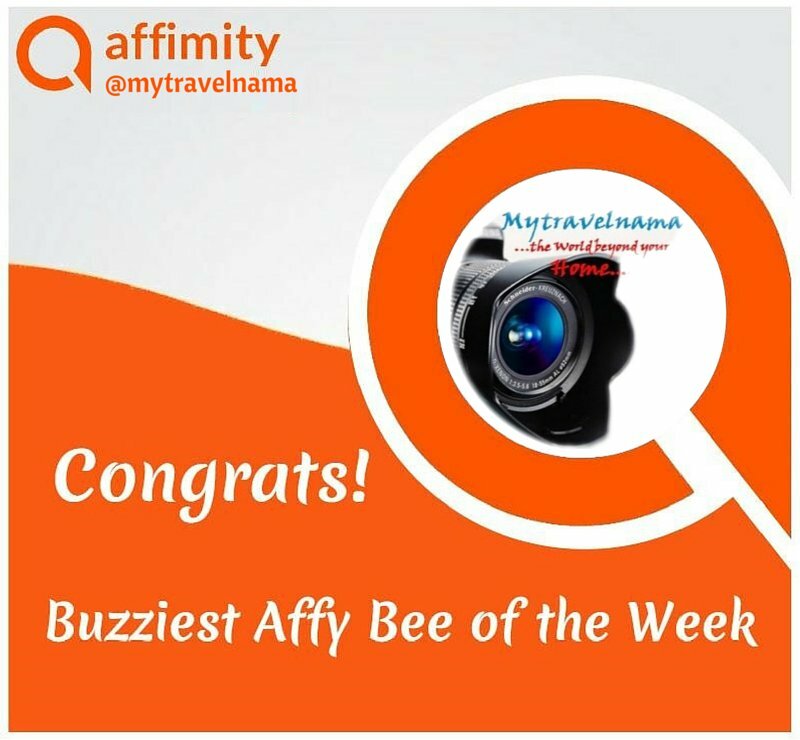 The cacophony of the parrots, the chants of the evening prayers from a nearby mosque and the cool breeze dancing around the tomb garden were soothing our spirits after a days’ tour in and around Delhi. 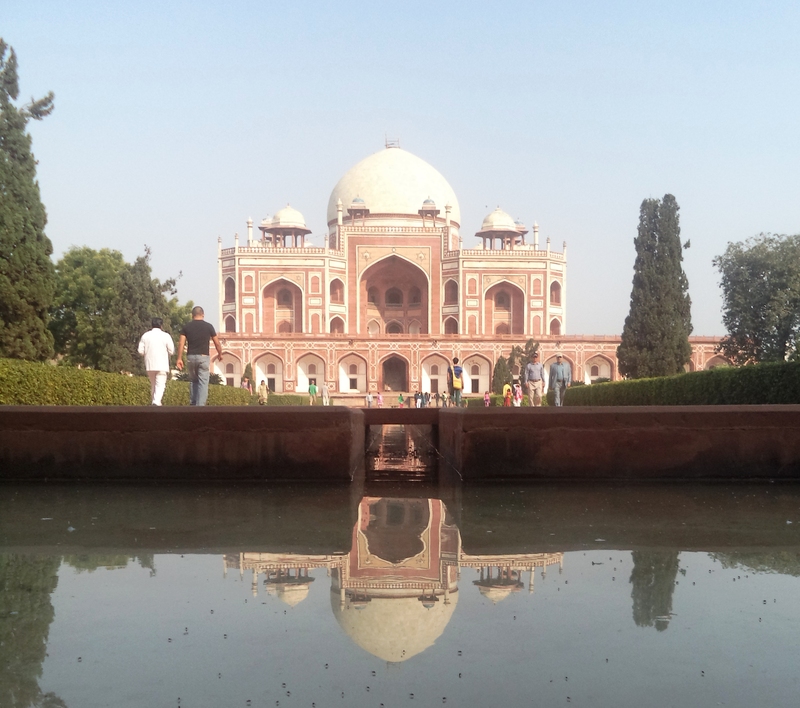 Well we were standing in front of the tomb of Humayun, the second Mughal emperor, spell bound and speechless. 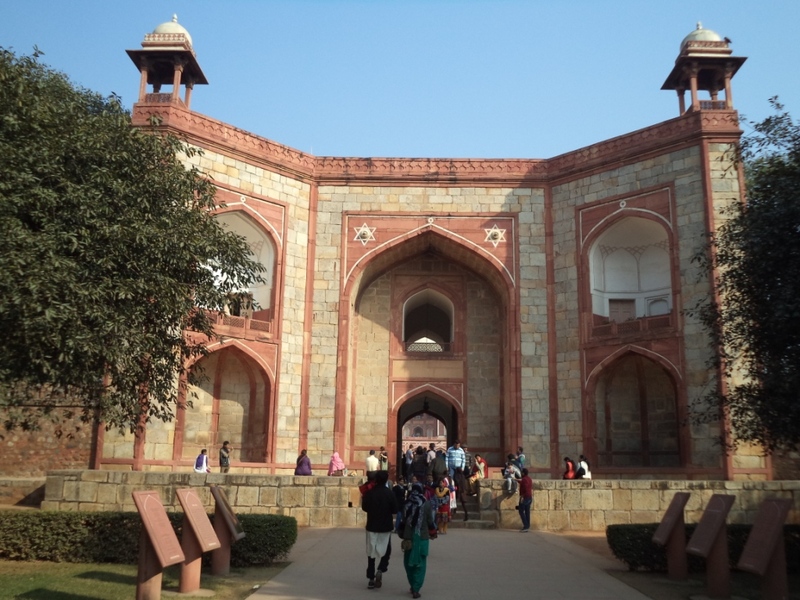 After the sudden demise of emperor Humayun in a bizarre accident at his library room (Sher Mandal of Purana Qila, Delhi) of his palace in the now Purana Qila on January 20th 1556, the Mughals were bitterly shocked and Mohd. 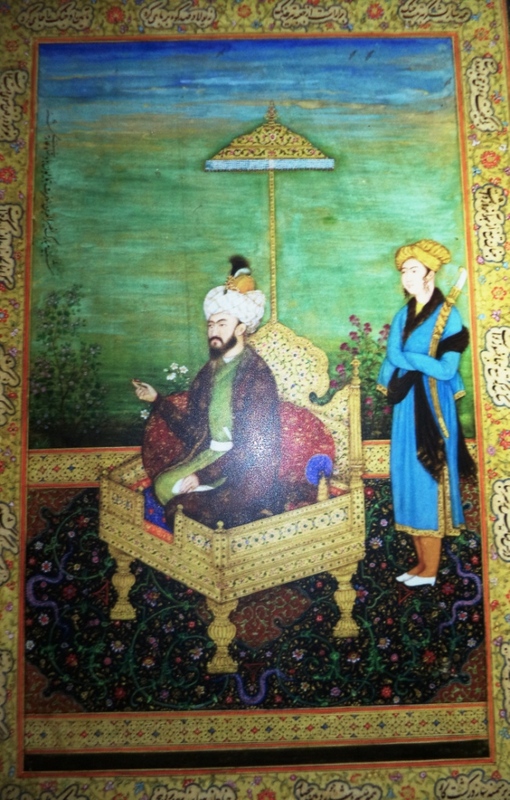 Jalaluddin (Akbar the Great) Humayun’s son had to be rushed to be coronated even if he was in his early teens. After his ascent to the throne Jalal visited his father’s monument situated in Purana Qila and was shocked to find its awful state. The Mughal empire under the supervision of Akbar and Haji Begum, one of the consorts of the departed emperor Humayun, decided to commission the construction of this amazing mausoleum in year 1565 the under the able hands of the famous Afgan architect and craftsman Mirak Mirza Ghiyasuddin. The monument was finally completed by the year 1572 under the craftsmanship of Sayyad Ghiyasuddin, son of Mirak Ghiyasuddin. The evening light was brilliantly guiding us towards the tomb. 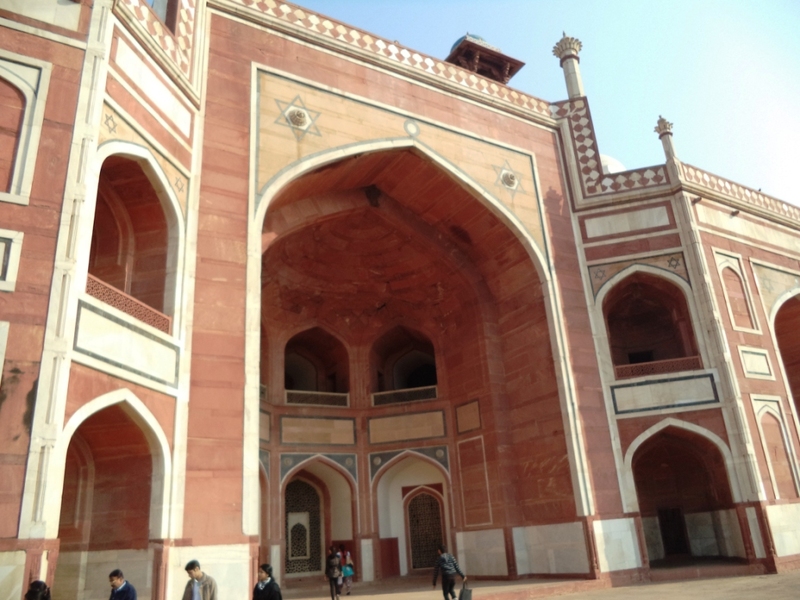 The entrance was marked by the presence of three gigantic gates, namely the Bul-Halima Gate, the Arab-ki-Sarai Gate and the centrally located wide red sandstone gate leading to the char-bagh garden housing Humayun’s tomb. 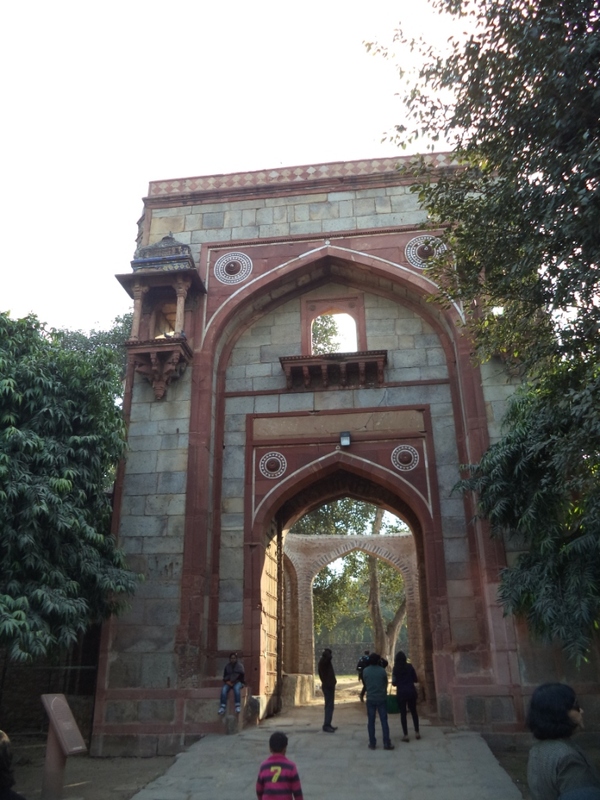 Bul-Halima Gate: This gateway is aligned with the western entrance of the Humayun’s tomb. The beautiful arched jarokha (gallery) at the first floor adds a unique glamour to the overall built and design of this gate. 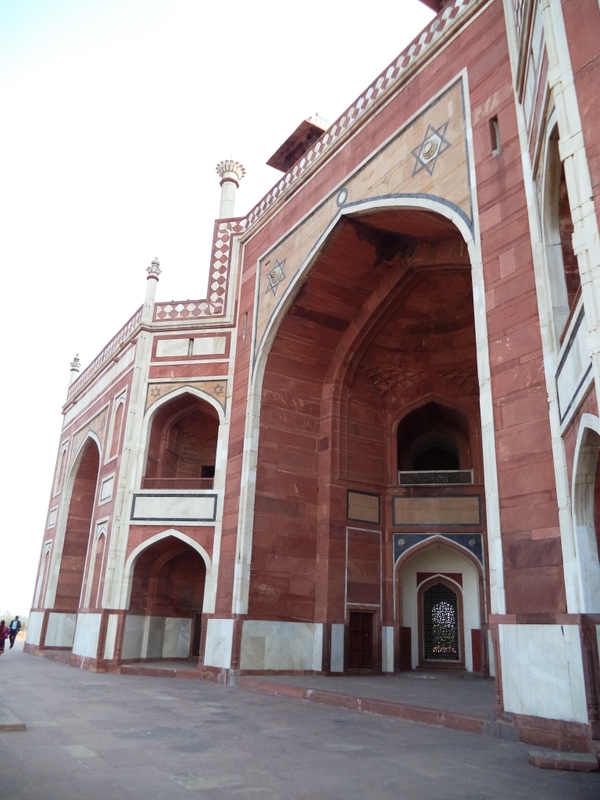 Made with pure sandstone the gateway displayed one of the finest mosaic tile works and designs. Restoration works initiated by the Archaeological Survey of India had ensured proper conservation of this unique monument. Arab-ki-Sarai Gate: This gateway served the entrance to the so called “Sarai” (market & community place) of the Persian Craftsmen hired for the in-lay of Humayun’s tomb. The recently restored large central arch with the majestic wooden gate creates an aura of the bygone era. 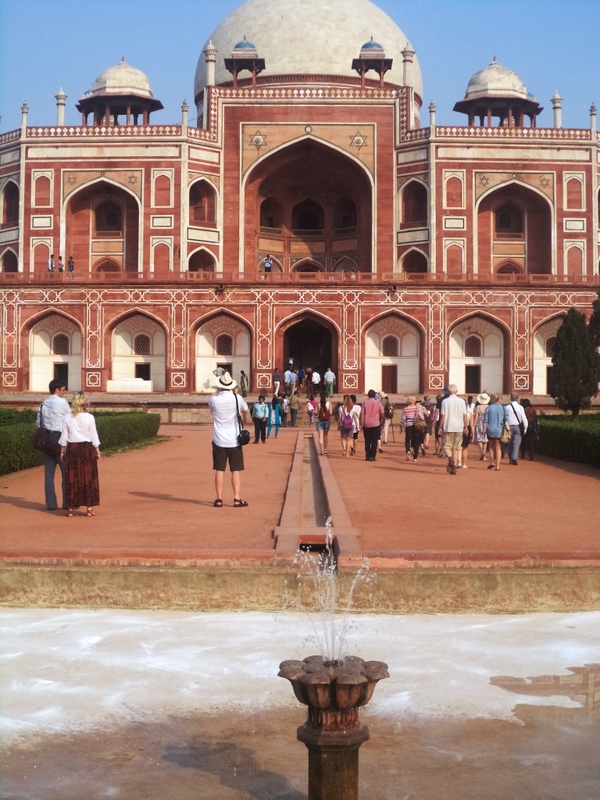 The Central Gate: A large half-hexagonal gate made of fine red sandstone bordered by white marbles led us into a huge char-bagh garden housing the mausoleum of Humayun. 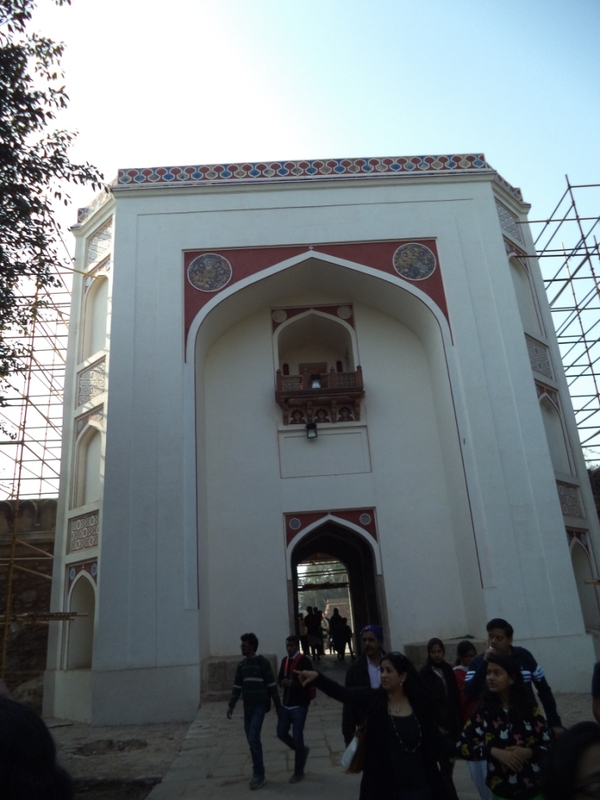 The architecture and designs followed in this gate had immense similarities with what we had seen in the monuments at Agra. 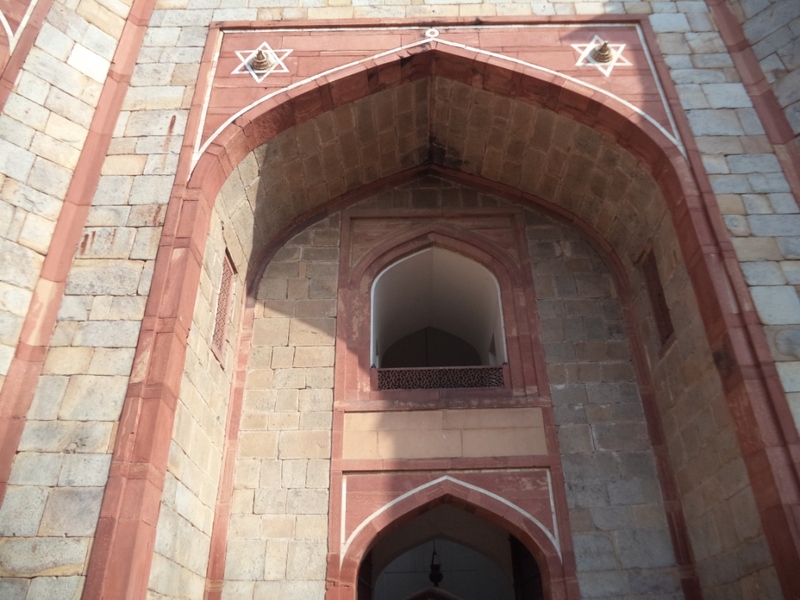 This gateway had clear cut evidences of the Akbari Architecture which are abundant in any Mughal monument in and around Agra. 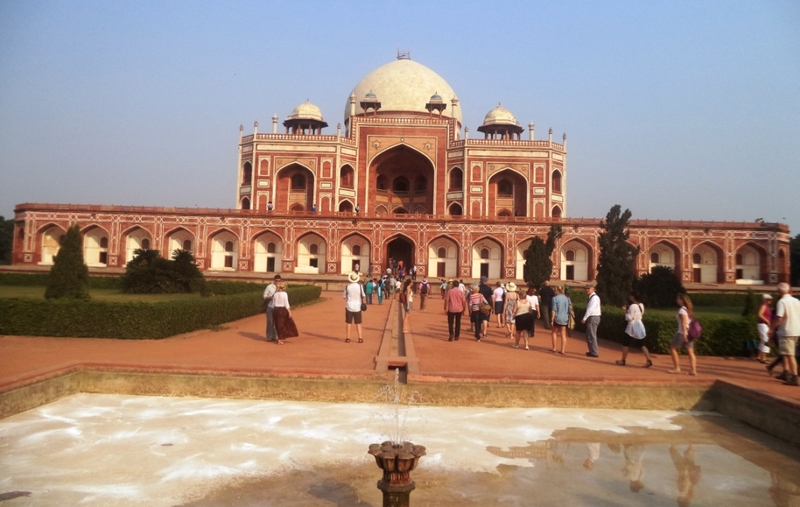 The tomb site is surrounded by a huge traditional char-bagh garden popular in the Mughal dynasty. A central fountain pool divided the rectangular garden into four small squares. As compared to the Taj Mahal, there was a clear cut distinction of the garden at the Humayun’s tomb. The later was perhaps not laid down as the “Jannat Garden” (or the Garden of the Heaven), as conceptualized by Shah Jahan for the Taj Mahal. The garden houses a good collection of a fairly good number of trees and fauna including palm and mango trees. The lush green carpeted floor of the garden is neatly maintained by the authorities. 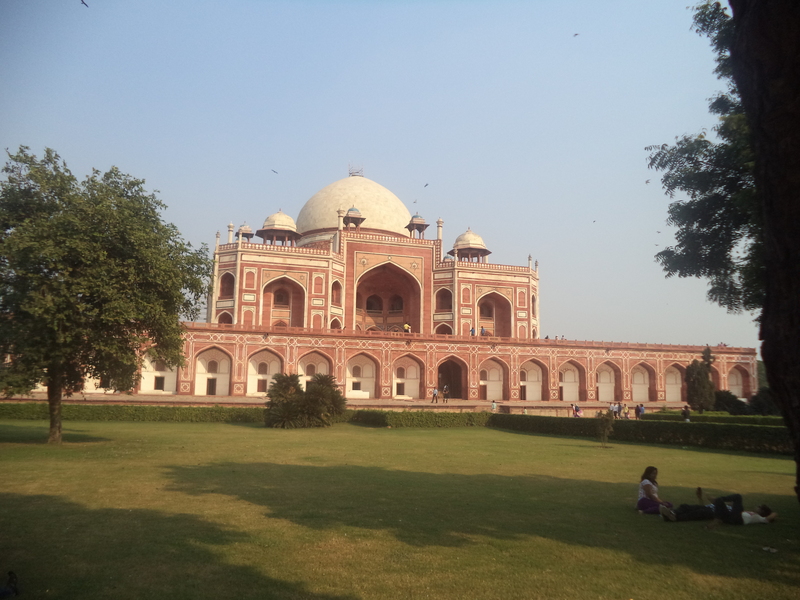 Its a treat of a lifetime to sit on this velvety garden floor and enjoy the aura of the Humayun’s tomb. The rectangular mausoleum crowned by an onion shaped doom is built on a huge plinth very similar to what you must have seen at the Taj Mahal. Instead of white marble, Akbar had emphasized on the abundant use of red sandstone and the very presence of it had definitely added an artistic aura hard to ignore in this wonderful monument. The entire structure of the mausoleum was perhaps purely inspired from Persia with the tomb towering a height and width of about 154ft & 299ft respectively. 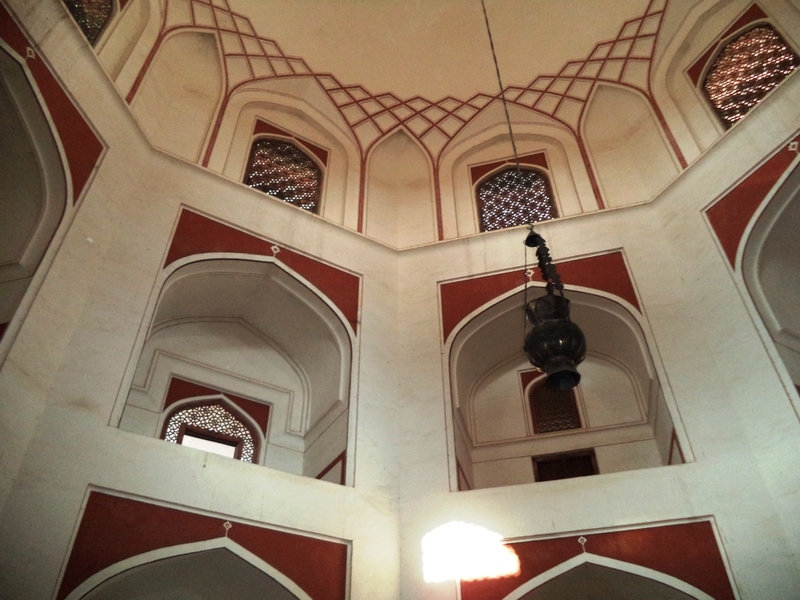 Amazingly this mausoleum was the first of its kind in India with an onion shaped double dome. 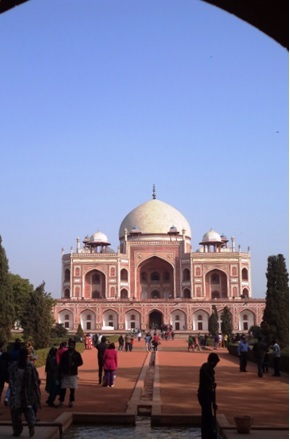 Perhaps Akbar’s grandson Shah Jahan was so fascinated with the architecture of the Humayun’s tomb, that many of its features including the double dome was re-used at the Taj Mahal. What made us awestruck was the clever use of red sandstone along with white marble border linings making the entire structure an amazing look. A stiff staircase led us to the top of the gigantic rectangular plinth housing the mausoleum. The most amazing feature of the monument was the use of symmetrical structures facing each direction in the exterior. The huge central arches and the arched galleries were meticulously similar while entering the mausoleum from any direction. The central chamber was an awesome display of architectural splendour. 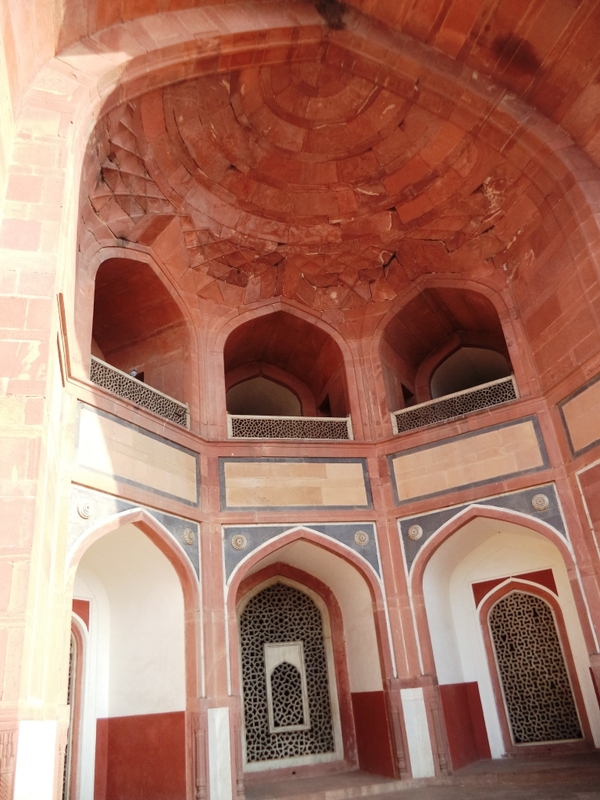 While entering the interior of the tomb, we were surprised to observe the double storied nine-fold pattern of the walls giving the inside of the monument an aura of the shape of a meticulously cut diamond. The use of white marble jaali works or lattice screens in the windows and galleries are really worth mentioning. They provided an amazing light and shade display in the entire interior hall. The centre of this chamber housed the cenotaph of the Mughal emperor beautifully adored by the finest display of pietra dura. 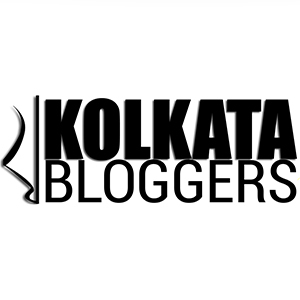 Like the Taj, the real burial chamber lies exactly below the cenotaph in an underground chamber which could be accessed by a secret entry inaccessible for visitors and tourists. The day was coming to an end very fast. The ASI staffs were pleading us to leave as it was almost the time for closure. The aura of this majestic monument still haunted us. It was a gorgeous piece of art, one of the finest displays of architectural splendours mastered by human skills. The Mughals had faded long back in the pages of history, yet their skills, passion for art and architecture would remain immortal for ages to come. 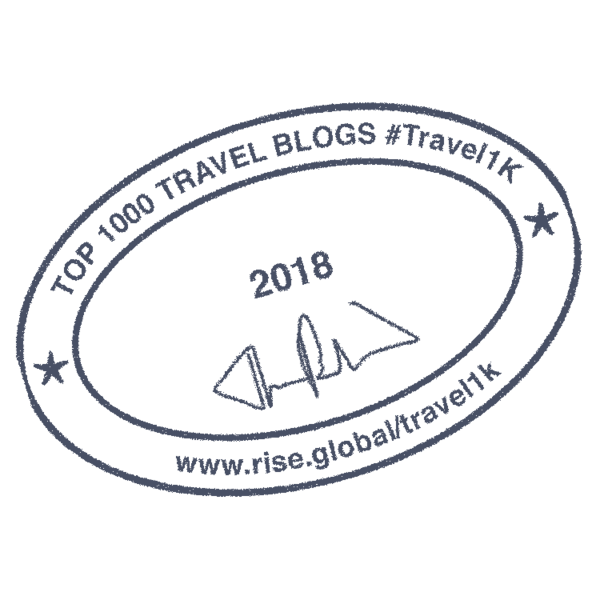 We felt that there was hardly any doubt that the UNESCO World Heritage sites like those of the Taj and the Humayun Tomb in India would conquer the emotions and continue to inspire millions of tourists and art lovers to rekindle their passion for architecture and art. 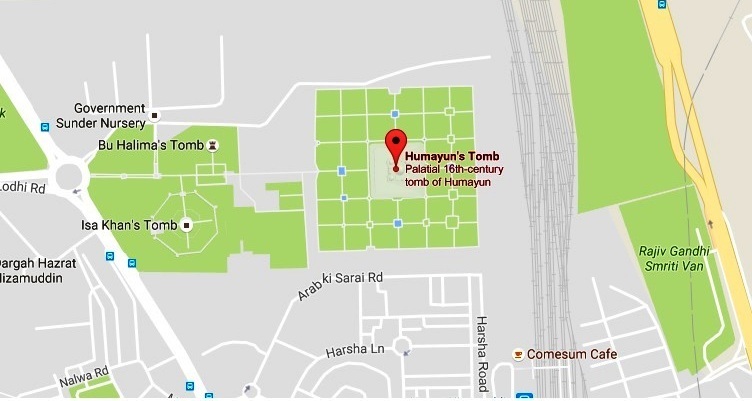 There is no doubt that Humanyun’s tomb is an architectural beauty, continuing the Mughal architecture tradition from Central Asia. 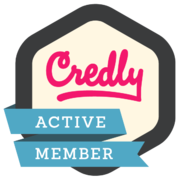 Did you undertake this exploration on your own or some guide or with a heritage walk?